Offering you a complete choice of products which include chemical blender, octagonal blender, drum blender and ribbon mixer. We are the engaged manufacturer and supplier of wide range of Chemical Blender. These blenders are working in different capacity. We manufacture the offered blenders using stainless steel, carbon steel and special alloy steels, sourced from the most trustworthy vendors of the industry. It is highly appreciated by client. We are offering an excellent range of Octagonal Blender. These are manufactured by a high-quality material. Offered blenders are ideal to be used for the purpose of mixing dry powder and granules homogeneously. 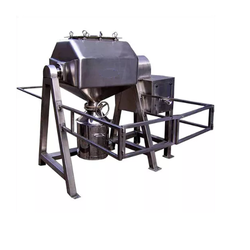 To ensure the same, we manufacture the parts of these Octagonal Blender using stainless steel, sourced from the most eminent vendors of the industry. 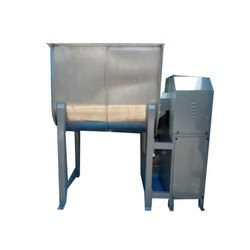 It is used for blending agrochemicals, breakfast cereals, ceramic powder and plastic granules etc. We are offering a wide range of Drum Blender. Our offered blenders are ideal to be used for the purpose of mixing dry powder and granules homogeneously. To ensure the same, we manufacture the parts of these cone blenders using stainless steel, sourced from the most eminent vendors of the industry. 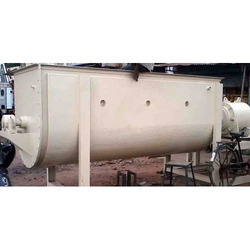 It is used for mixing agrochemicals, ceramic powders, herbs, metal powders and plastic granules etc. We are offering Ribbon Mixer. Our range of Ribbon Mixer is widely appreciated by our clients which are situated all round the nation. 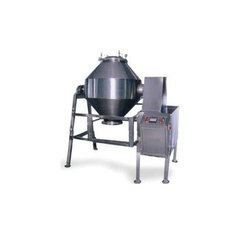 These blenders are provided with tanks and stirrers for effective blending of chemicals. Some Ribbon Blenders are appreciated for features such as sturdy construction.